I’m starting a new clinical internship this week. This past weekend, I longingly looked through my collection which is sorted into two groups, professional-looking colors and unprofessional/out of the ordinary colors. As my ‘last hurrah’ I wanted a color that was summery, bright, and cheery. 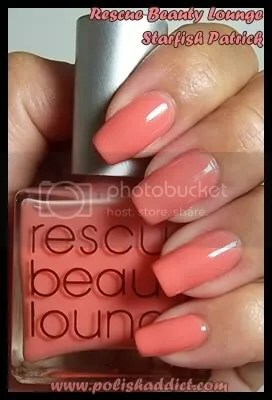 I chose Rescue Beauty Lounge Coral. I know what everyone is thinking, “don’t sweat having to wear professional-looking colors during the week, you have the weekends!” The bittersweet aspect of nail polish blogging is that I spend my weekends swatching so I can’t do fun weekend manicures. Boo. 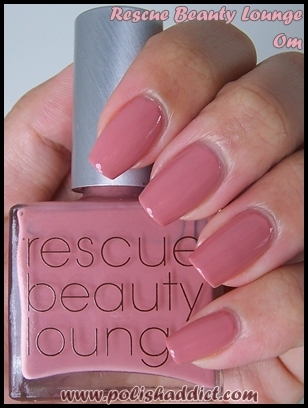 Rescue Beauty Lounge Coral is g o r g e o u s. I began lemming this one because of the bottle image on the Rescue Beauty Lounge site. 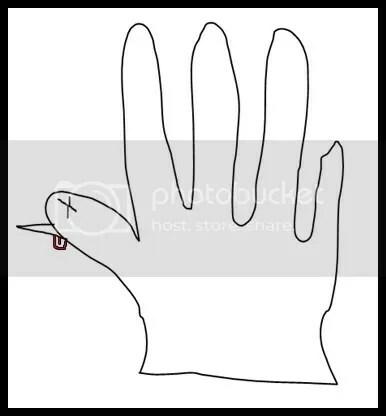 I don’t know why but I was immediately drawn to it. It’s very chameleon-like in the sense that color varies in different lighting. It can be described as a bright pink, sometimes coral, sometimes orange-y. Tink over at Casual Lavish also swatched Coral; her skin tone is different than mine so it will give you an idea of how the look of this color can vary. As a side note: I recently started experimenting with different base coats. 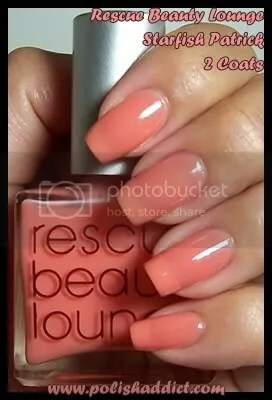 For this manicure, I used the Rescue Beauty Lounge base coat, 3 coats of Rescue Beauty Lounge Coral (3 was necessary to cover VPL), and 1 coat of Seche Vite. I don’t have a final opinion yet but I can share some purely qualitative observations. The RBL base coat isn’t billed as a ridge filler but that’s actually what it is. It’s milky but not as thick as a ridge filler like Barielle Camouflage. Like all ridge fillers, it makes applying some colors really easy but can make other colors more difficult to apply. So far, I like it. Ji Baek did it again. I am not a fan of creme sheers and I am completely and totally taken with this collection. 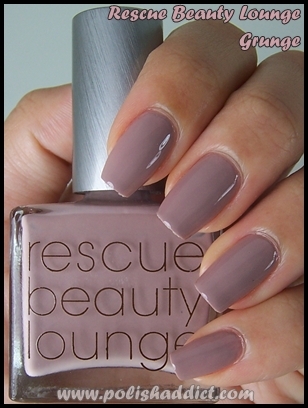 Of course, I expected nothing less than perfection from Rescue Beauty Lounge – Ji and company consistently design colors that are in a league all of their own. Ji conjured up the Spongebob Squarepants Collection after hearing that Marc Jacobs drew inspiration for his collections from the popular children’s TV show. I love that these delicate sophisticated colors were designed based on a TV show, the silliness of which is rivaled only by Ren & Stimpy. If delicate isn’t your thing, Ji says these colors look positively amazing layered over Rescue Beauty Lounge Underwear, the brightest white on the market. The brightness of Underwear gives these sheer colors a back-lit effect. As soon as I get my hands on Underwear, I’ll hook you guys up with swatches. 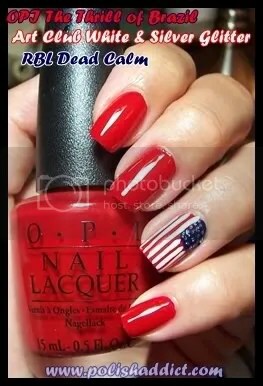 Until then, enjoy these polishes in their unadulterated form. These swatches are 4 coats each, taken in artificial light. I prefer sunlight images but I got home too late from work and I just had to show these to the world tonight. Despite having been taken in artificial light, these swatches are true and accurate depictions of these colors. It goes without saying at this point that the application of these polishes was perfect, not a streak insight. Most people think that yellow is a difficult color to wear, Rescue Beauty Lounge Square Pants will prove those people wrong. I think there is a commonly accepted notion that yellow tends to run the risk of looking a bit garish, but Square Pants is soft and delicate. 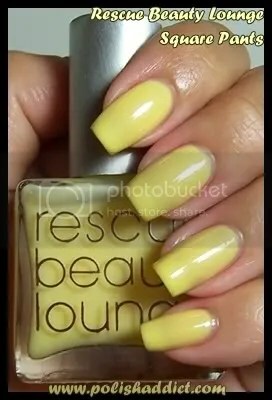 It’s visibly yellow, not pastel, but it’s not shocking on the nail. This color was put on earth for people who want to try yellow but fear it might be ‘too much’. Perfect. Spongebob may be the star of the TV show, but for most people, Rescue Beauty Lounge Starfish Patrick is the star of this collection. Described as “wispy peach coral”, it’s definitely the most accessible of the 3 colors. 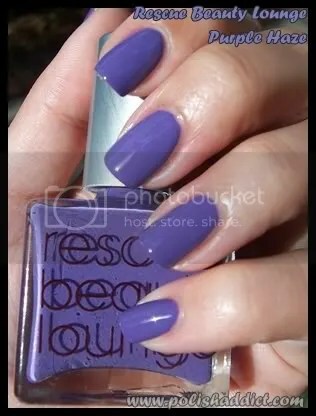 Bikini Bottom is my personal favorite, but my NOTD right now is Starfish Patrick, primarily because it’s subtle enough for work. I did take some swatches of Square Pants and Starfish Patrick at 2 coats for those of you who are not sheer polish adverse. As you can see, these colors are wearable and streak-free even at 2 coats. 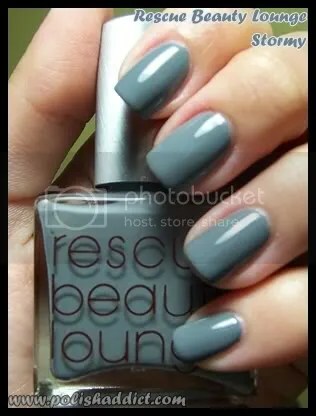 Special thanks to Ji Baek and Rescue Beauty Lounge. I hope I don’t get in trouble for posting this but here’s the fall preview link. (eeep!) But I highly recommend that every one join their VIP mailing list legitimately. They always send these awesome previews to us. 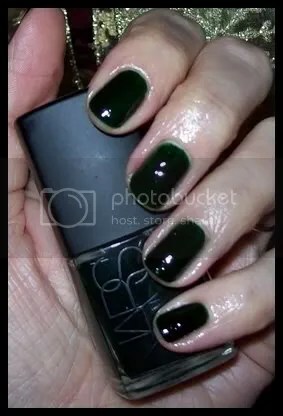 A while back I wrote an article complaining about NARS Zulu and the insistence of the nail polish industry of discontinuing highly sought after colors. I understand that creating ‘limited edition’ nail polish inflates demand and creates profits for nail polish companies, but discontinuing really highly sought after colors doesn’t make any sense from a business stand point. NARS Zulu, for example, has been off the market for over a year and still consistently sells for $70+ on ebay. That’s profit that is going to scalpers when it could be going to the polish companies. It just seems like bad business sense to not re-release those colors. In any case, I still don’t own Zulu. Whenever I’m near a balcony, I run out on to it à la A Streetcar Named Desire and scream , ” Zuuuuuuuuuuuuuuuuluuuuuuuuuuuuu!!!!! Zuuuuuuuuuuuuuluuuuuuuuuuuuuuuuuuu!!! !” A long time ago I bought all the supplies to attempt to franken Zulu. I never did it because frankening Zulu was akin to accepting I would never own it. I’m starting to accept that, so I gave the franken a shot. Here are some of the greens in my collection. Unfortunately none of these are exact dupes of Zulu. 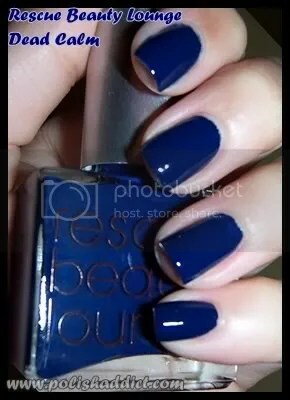 Check out Blogdorf Goodman for swatches of Anna Sui #915 and Chelsea Psycho Green which are traditionally thought of as Zulu dupes and are, unfortunately, as difficult to find as Zulu. 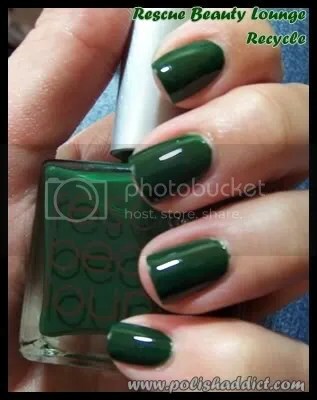 Chelsea Psycho Green, also pictured above, is very close but Zulu is a creme with a jelly finish and Psycho Green has very subtle shimmer visible only in the light, no jelly finish. I bought Icing Envy and New York Summer Amaranth specifically for the purpose of trying to duplicate Zulu. I’ve seen an Amaranth based Zulu franken before, it was dead on. Amaranth has a jelly quality that is similar to Zulu so it’s a perfect base green for Zulu frankens, just add black. The only problem was that I loved Amaranth so much I didn’t want to use it for a franken. I decided to try it out only with Icing’s Envy (which I also love but happen to have two bottles). I’ll order a second bottle of Amaranth to franken with and post my results later, I promise. As you can see, I failed, while I like the color I ended up with, my franken looks nothing like Zulu. It’s no surprise that OPI is late to the party yet again. Blues were the thing last season, but for those of us who don’t care about strictly following seasonal trends, OPI Dating a Royal from the new Mod Brights Collection is pretty amazing. 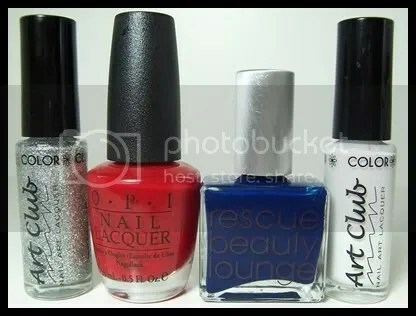 Originally, I was going to compare all of these colors but once I got the bottles together it was pretty clear that the only real contenders for comparison were Lippmann Collection – Rehab and Rescue Beauty Lounge – Dead Calm. China Glaze – Shower Together (twin of China Glaze – Aqua Baby), L.A. 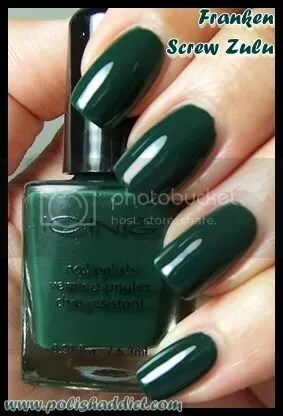 Girl Flare – Twinkling, and OPI Just Groovy don’t look anything like Dating a Royal, or each other for that matter. There was some concern arising on the nail board that all these colors might be too similar to justify owning all of them, but as you can see from the bottle picture, that’s not the case. I apologize for the quality of this image. For some reason I just could not get these colors to photograph well. This was the clearest image of the bunch, but even with the lack of focus, this image is an accurate depiction of what these colors look like in person. The online teaser images of Dating a Royal made it seem like it would be more dupish to the aqua blues. As it turns out, it’s a much darker blue, but not as dark as the blues that were popular last season. 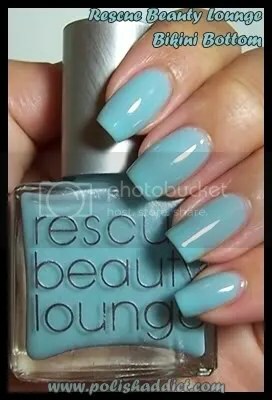 Its comparative lightness makes it more relevant to the trends of this spring and summer but since it’s not technically a light blue it will be wearable in the fall. I’ll give everyone the skinny on the application and wear when I do the full swatches. In other news, I am now a member of Alltop.com. Yeay! Alltop condenses the best blogs on the net by category so you can read about your favorite topics all in one place. Their beauty section is pretty comprehensive, you guys should check them out if you haven’t already.